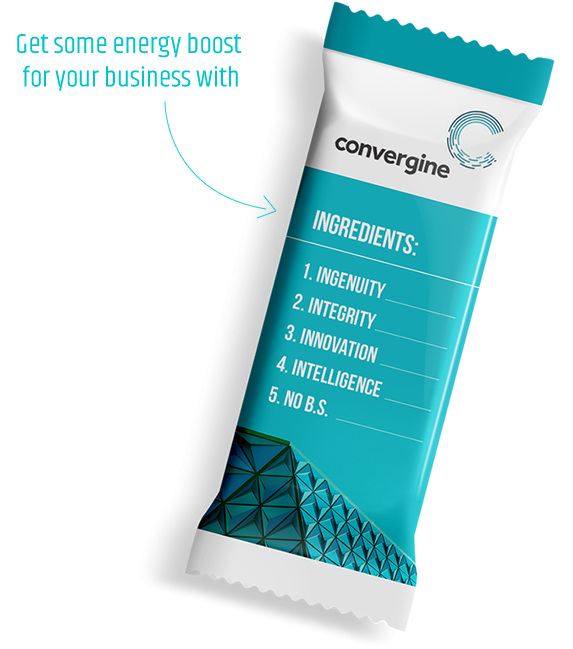 Here at Convergine, we offer a range of digital products and services to support your business in sales, reputation, customer loyalty and back office efficiency. But what is most important to us is providing the best solutions for your challenges. Creating a product that makes doing business easier starts with understanding you and your customers’ needs. User experience (UX) design provides the tools to create attractive, intuitive, and responsive experiences that improve efficiency and delight customers. Automate manual and repetitive tasks, and streamline your back-of-house operations with scalable, custom built business software solutions that save you time and money. Your website will be the first point of contact for many of your customers, so make it count! Grow your business with an attractive, functional and easy-to-use websites or mobile app. IT infrastructure requires regular upgrades and maintenance. Migrating to the Cloud is reliable, secure, and simplifies data management, while easily integrating with commonly used software, such as Microsoft Office. Sometimes things go wrong, but preventative maintenance can help to avoid unforeseen costs, keep you worry-free and your website in topnotch condition.